EDIT: The following is something I wrote for my BA degree in 2006. 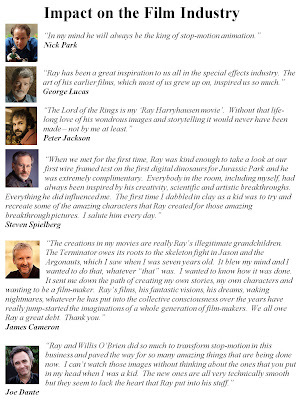 The subject was to discuss a pioneering filmmaker's impact on modern media: I chose Ray Harryhausen. I figure it only fitting to pay tribute to the man who had such a profound impact on my imagination to share some of the findings I have on a blog that might not exist without his inspiration. 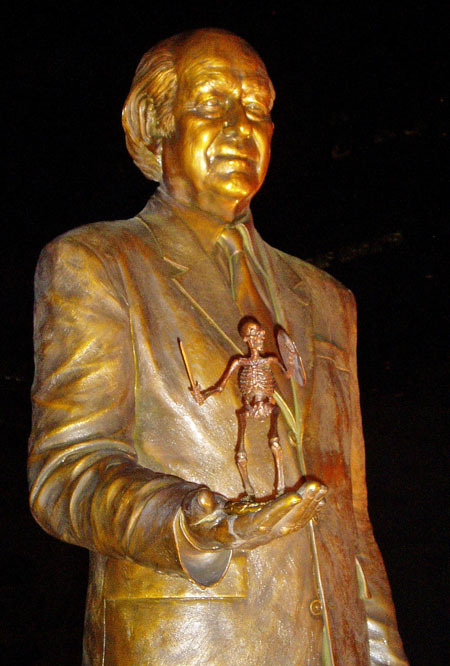 Ray Harryhausen is one of the most influential creators of special effects of 20th Century cinema, whose effects and influences can be seen clearly into the 21st Century. The evidence of his achievements is found in his work. 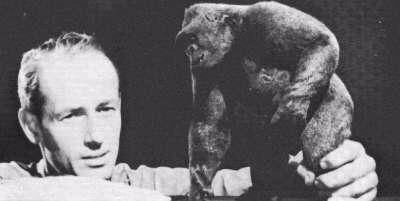 The evolution of the industry is therefore under examination to understand what inspired and shaped Harryhausen. Using examples of his work and that of others it becomes clear that his work continues because it seems that he has had the greatest impact from the early pioneering days of Motion Pictures through to the present day. The time and place where he was born, raised and lived may have played an important part in his choice of career. 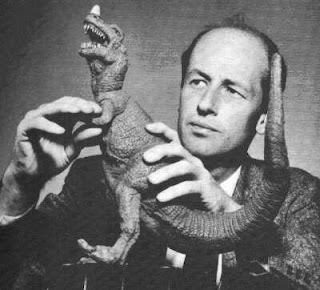 Born in Los Angeles on June 29th, 1920, Raymond Frederick Harryhausen had been fascinated by the power of cinema from an early age, particularly in the field of model animation pioneered by Willis O’Brien. After seeing O’Brien’s magnus opus King Kong in 1933, Harryhausen dedicated himself to following in O’Brien’s footsteps. He experimented with short animations inspired by the science fiction of the time. 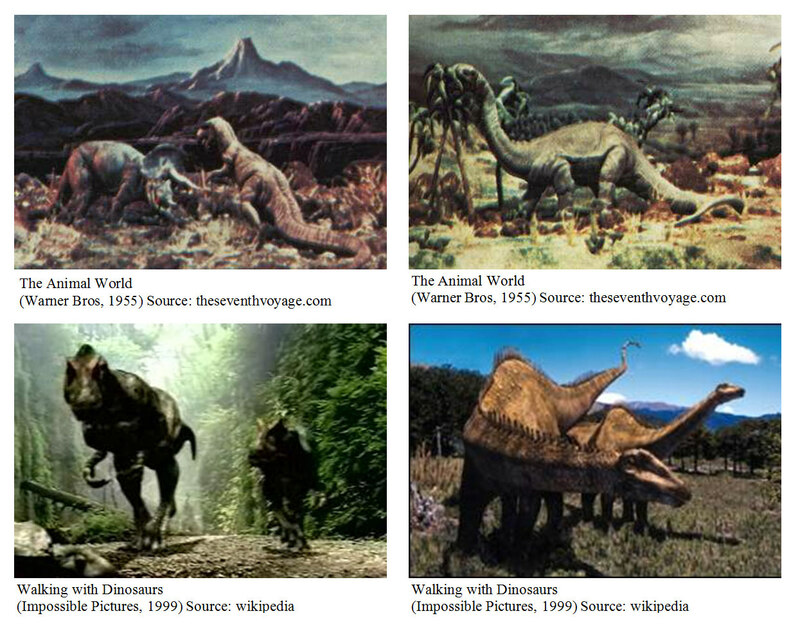 His breakthrough came with his first demo reel, the dinosaur feature Evolution, which was itself strongly influenced by O’Brien’s project Creation. Impressed, Paramount offered him employment with George Pál's Puppetoon shorts, a post shortly interrupted by war. At the onset of the Second World War, Harryhausen was employed by the Army Motion Picture unit to create educational sequences for the army, usually when equipment was unavailable or prohibited to film in live action. Indicative of his powerful imagination and ingenuity, he utilized much of the unused film from this time to create a series of fairy-tale shorts. After the end of the war, he shot a concept scene based on H.G. Wells’ novel The War of the Worlds, featuring the emergence of a Martian from a cylinder, as part of a proposed adaptation which was closer to Wells’ original story. Like many historically famous people the times had not been a negative influence on him, he had applied his talents and goals wherever possible, ever utilising the things that would create barriers for others. His imagination and practical applications would make possible animated creations that had life, personality and character. This was appreciated and rewarded by his first influence, Willis O’Brien who appointed him as his assistant. The following pages shall detail a selection of Harryhausen’s most important works, and their effect on his later films, other filmmakers, and even the popular consciousness. 10 One Million Years B.C. Harryhausen composed a demo reel including more recent projects and showed them to his hero Willis O’Brien, and was delighted to be offered a job as assistant animator. Harryhausen’s next project would be the motion picture Mighty Joe Young. O’Brien was so impressed with this work that he allowed him to handle the majority of the film’s animation, which unsurprisingly won the Academy Award for Special Effects in 1949. The animation is more sophisticated than Kong's and contains more subtle gestures and even some comedic elements, such as one chase scene where Joe is riding in the back of a speeding truck and he spits at his pursuers. Despite this increased technical sophistication, this film, like Kong, features some scale issues, with Joe noticeably changing size between many shots. It isn't until Joe makes his first appearance in the Safari encampment that we get to really see some fantastic work. During this sequence Joe battles with a caged lion. When the cage is broken, the lion makes his escape, switching almost seamlessly from live-action to stop motion and then back to live-action again. Mighty Joe Young was an extremely important film for Harryhausen and the realm of special effects in general, as it showed that an incredible level of interaction and character development was possible for stop-motion characters. Whilst King Kong had a grand scale, it used a large puppet for facial expression, and generally paled in comparison to the stop-motion model. 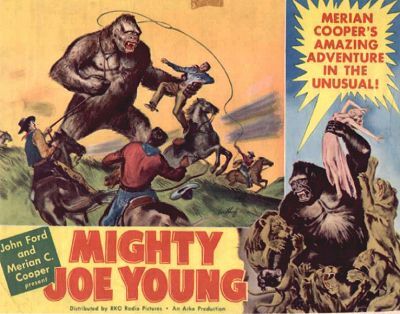 Mighty Joe Young used stop-motion exclusively, and the suspension of disbelief combined with the light whimsy of the story made it a memorable first feature at the beginning of what would be the Golden Age of Science Fiction. During this era Harryhausen’s talents proved to be a hot commodity. 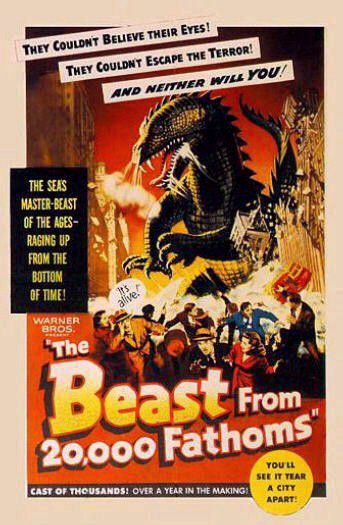 Harryhausen was hired to provide special effects for Warner Brothers’ The Beast from 20,000 Fathoms. 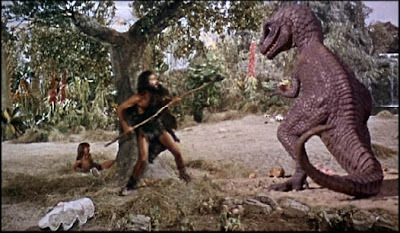 Whilst various directors and producers were hired to develop the film’s live action characters and scenes, Harryhausen himself only worked on scenes which involved animation, though he did supervise the filming of live action background elements. This would be Harryhausen’s first solo feature film, and it became a phenomenal box office success at home and abroad. 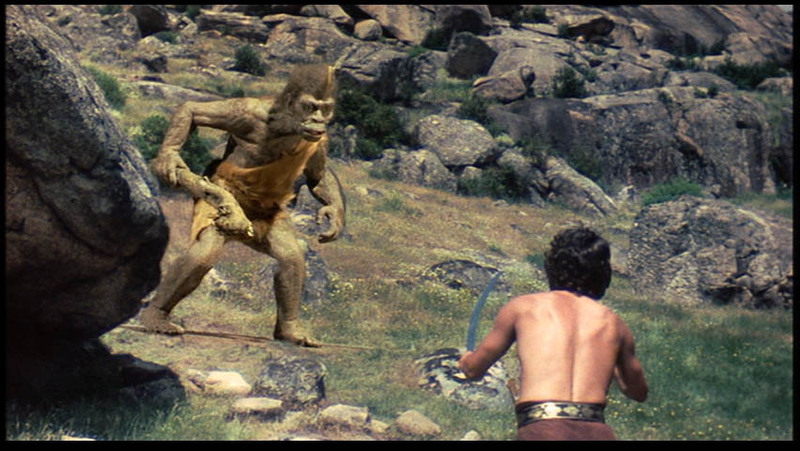 It was on this film that Harryhausen used his famous DynaMation process, which was revolutionary in the field of special effects. The process was composed of two parts: a background would be used as a miniature rear-screen with his models animated in front of it, rephotographed with an animation-capable camera to combine those two elements together, the foreground element matted out to leave a black space. Then, the film was rewound, and everything except the foreground element matted out so that the foreground element would now photograph in the previously blacked out area. This created the effect that the animated model was in the middle ground in between the two live action elements, right into the final scene. This technique is also used in subsequent film making. The Beast from 20,000 Fathoms was one of the first of the new wave of science-fiction films of the 1950’s, and arguably the first film to feature a giant monster awakened by nuclear activity. Indeed, the film producers Tomoyuki Tanaka and Ishiro Honda cited The Beast from 20,000 Fathoms as a major influence on their film ゴジラ (Gojira), which would spawn the immensely popular Gojira franchise and the Kaiju genre. The film would even be visually referenced in the much maligned Tristar Godzilla. Harryhausen’s next project was Columbia’s giant octopus b-movie It Came from Beneath the Sea, which was the first of many projects he would embark upon with producer Charles H. Schneer. Like The Beast from 20,000 Fathoms, It Came from Beneath the Sea featured a gigantic monster spawned by atomic radiation. Since the world bore witness to the atomic bomb, speculation about the effects of radiation were rife, none more so than in the field of science fiction. The fact that the film was produced on such a small budget reveals the quality Harryhausen could achieve with the minimum of essentials for dramatic effect. The monster is rarely seen until the end of the film, but its first appearance is shocking and beautifully shot. Even though it was only a tentacle rising above the ocean to destroy an unlucky ship, the quality was stunning, and as more of the creature is seen the size and power of the beast becomes terrifying to behold. 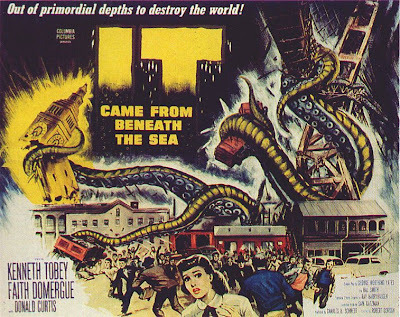 It Came from Beneath the Sea spawned its own b-movie genre, that of real creatures being transformed into antagonists by virtue of being mutated to gargantuan proportions. Films such as Tarantula, Attack of the Crab Monsters, The Giant Gila Monster and others would follow its lead, but few would match the breathtaking spectacle and overwhelming might of the six-tentacled octopus. 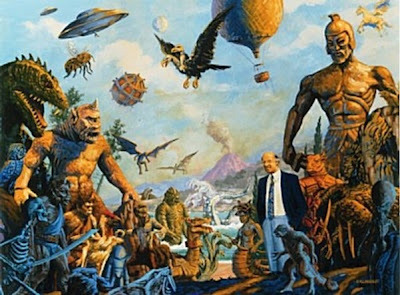 Believable worldly creatures were now brought to life on screen, but the greatest challenge was to bring about the tangible existence of life from other worlds, which Harryhausen would tackle next. 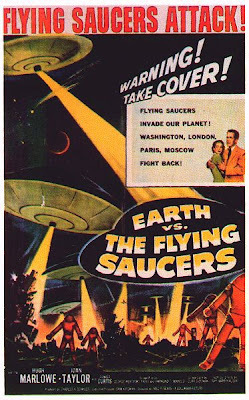 Earth vs the Flying Saucers was one of the most successful of the many films based on alien invasions filmed in the 1950s. Ray Harryhausen animated the eponymous saucers, as well as the animation of the buildings the saucers crashed into, and some figure animation for the aliens. Scenes of the flying saucers were later re-used in The 27th Day and Orson Welles' F for Fake. 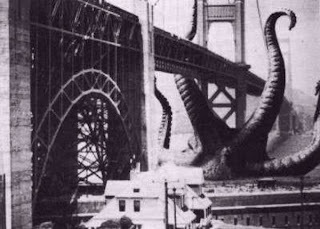 The scenes of destruction were later used in The Giant Claw. The flood of UFO sightings in the 1950s lent itself well to the budding science fiction renaissance, and once again was at the forefront of the genre revolution. 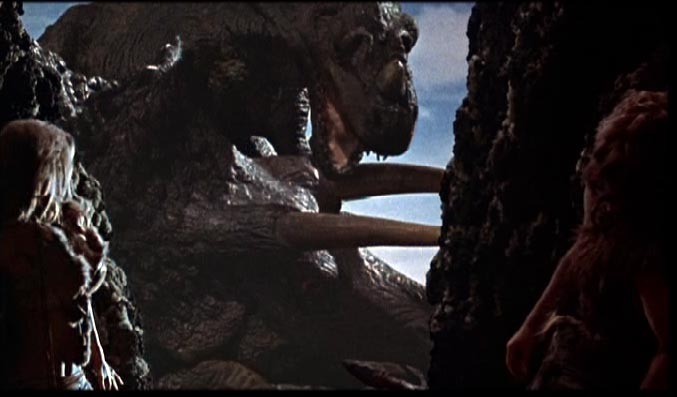 The film was incredibly influential on the science-fiction B-movie genre, doing for alien invasions what The Beast from 20,000 Fathoms did for giant monsters. Virtually all the staples of the genre – flying saucers, death rays, destruction of iconic landmarks – make an appearance. The saucers are highly believable, and to this day Harryhausen’s designs of the saucers is the archetypal view of a UFO, almost to the point where one would be disappointed if our first contact with an alien was not, in fact, held outside such a vehicle. The flying saucer archetype would be echoed in many alien invasion films, including the notorious Plan 9 from Outer Space, the television miniseries V, and the Hollywood blockbuster Independence Day. The deluge of alien-invasion films culminated with Tim Burton’s loving homage Mars Attacks! which lifts not only the iconic saucers, but also cheekily subverts many scenes from the film, including the destruction of the Washington Monument. 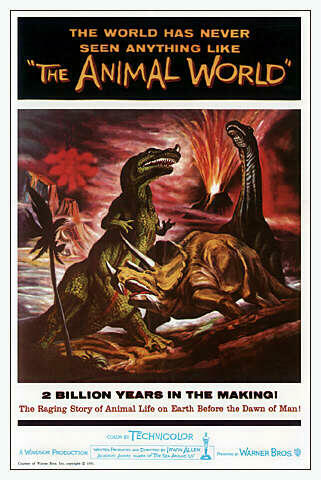 Harryhausen was again hired by O’Brien to assist him in documentary maker Irwin Allen’s The Animal World, specifically an 8-minute opening sequence featuring dinosaurs. Although the documentary was an overview of animal life on earth before the appearance of human civilization, the opening dinosaur sequence was considered the best part of the film. While previous films featured dinosaurs as monstrous antagonists, The Animal World showed them in a more natural light, featuring peaceful sauropods grazing and a dinosaur hatchling. This is the first time in a cinematic release that live-action dinosaurs were portrayed in their own environment, free from the guns and spears of anachronistic humans or cavemen. That 8-minute opening of The Animal World opened the way for a new kind of dinosaur documentary that utilized stop-motion animation to bring the dinosaurs to life. This would evolve into the computer animation seen in Walking with Dinosaurs. Harryhausen was at first reluctant to advance to colour filming, due to the necessity to develop new systems to maintain colour balance for his techniques. 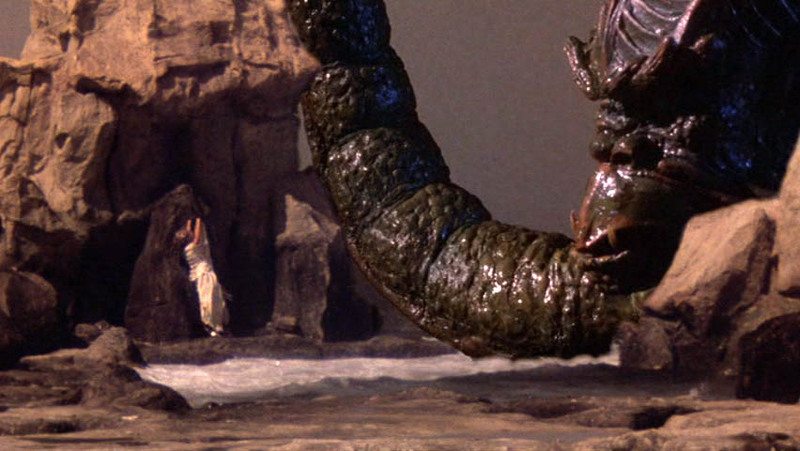 After completing the needed development he began work on The Seventh Voyage of Sinbad, a film widely regarded as one of Harryhausen’s greatest works. 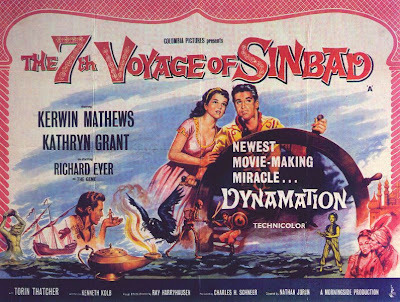 The Seventh Voyage of Sinbad was the first of Harryhausen’s series of fantasy adventures, which also influenced later artists. 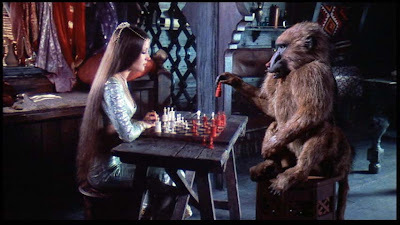 Visual effects artist Phil Tippett saw this film at the age of seven, and would go on to produce stop-motion sequences for The Empire Strikes Back, Dragonslayer and Robocop. Phil Tippett was also hired to do stop-motion effects for Jurassic Park until his work was superseded by Dennis Muren’s revolutionary digital dinosaurs. Far from being declared “extinct” Tippett’s knowledge and experience of animal behaviour was put to effective use, and adapted his expertise into computer animation. This proves that techniques used in stop-motion could be adapted for use in modern technology. 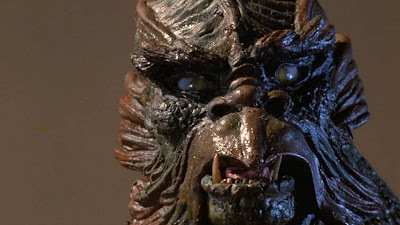 Industrial Light & Magic used a form of stop-motion animation pioneered by Phil Tippet called “go-motion”, where the illusion of motion blur was achieved by moving the models slightly during the film exposure. The technique was used to animate the AT-AT walkers in The Empire Strikes Back. Peter Jackson has stated that the actions of the Cave Troll in The Lord of the Rings: The Fellowship of the Ring was a homage to the work of Ray Harryhausen, and despite the vastly different methods used to produce the effects, the similarities between the Cave Troll’s and the Cyclops’ actions, mannerisms and character is striking. Jason and the Argonauts is particularly notable for its impressive fight between five actors and seven animated skeletons, and became one of cinema’s most memorable sequences. Inexplicably, the film was a disappointment at the box office, and combined with managerial changes no further Harryhausen films were commissioned at Columbia Pictures. The famous skeleton fight sequence took four months to produce, roughly a month for each minute. Some of the skeletons’ shields bear faces familiar to Harryhausen aficionados: one can notice the octopus of It Came From Beneath the Sea, and the face of Ymir from 20 Million Miles to Earth. After Sergio Leone’s period film Colossus of Rhodes, Talos was substantially beefed up from his Greek mythological form as a man-sized winged automaton to a gigantic bronze statue. 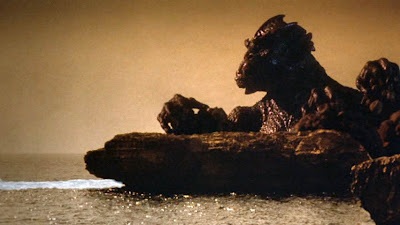 The character became one of Harryhausen’s most famous creations. 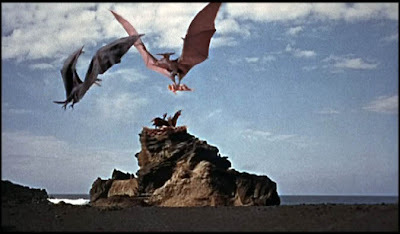 Any scene with the Hydra would take Harryhausen a day to produce. To achieve the right colour of actor’s costumes and skins, multiple shots were taken of the actors at different angles. 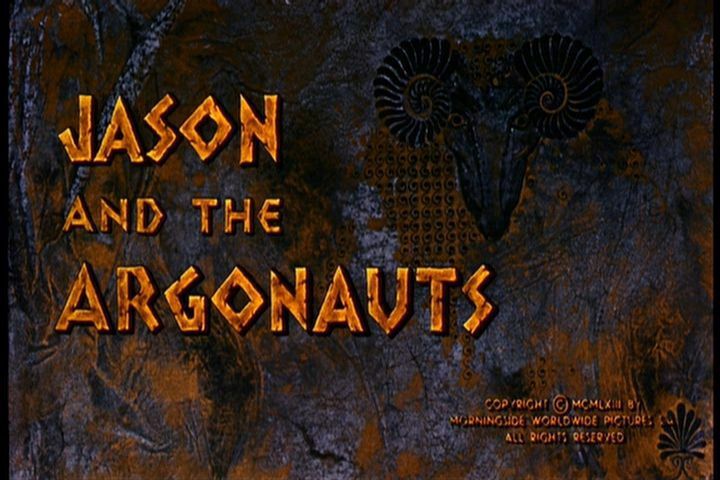 Jason and the Argonauts is possibly the most famous of Harryhausen’s films, and arguably his best. The skeleton fight had a lasting effect on many of the most successful filmmakers of recent times: James Cameron acknowledged it as an inspiration for The Terminator, a character which would itself become a cinematic icon. Harryhausen was soon hired by Hammer Film Productions to animate the dinosaurs in One Million Years B.C. in 1967. The film was a success, and put Harryhausen back in his stride. Far superior to the original 1940 film, Harryhausen makes it much more than the “Barbarella with dinosaurs” that it could have collapsed into. 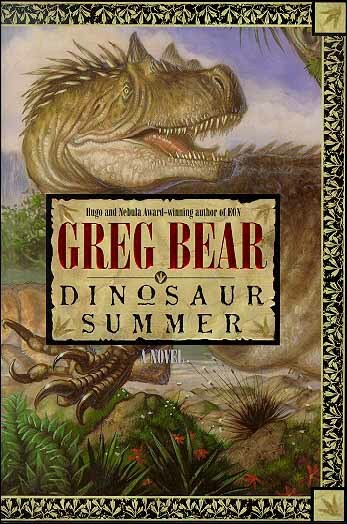 The dinosaurs were far more convincing than the original’s mix of men in monster suits and the inhumane practise of gluing horns and spines to lizards. 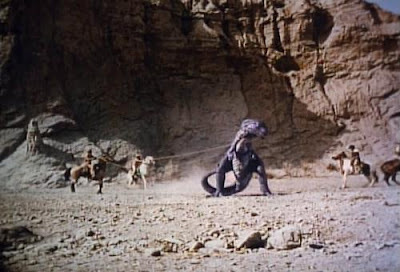 The cast were also highly dedicated; acting as convincingly against nothing as is humanely possible, especially when menaced by the young Allosaurus. There was also the outstanding cinematography of Wilkie Cooper, who displayed a magnificent amount of skill in pans which are normally left to computer control in recent times. In particular, the pterodactyl attack was an extremely skilful display of technical finesse, where the same pans would have to be repeated as closely as possible for the effect to work. Perhaps the most enduring element of the film was not necessarily Harryhausen’s usual stellar effects, but rather a publicity shot of Racquel Welch in her iconic fur bikini, an image which would grace the walls of excitable teenagers across the world, becoming one of the best-selling posters in history. Harryhausen would soon follow One Million Years B.C. 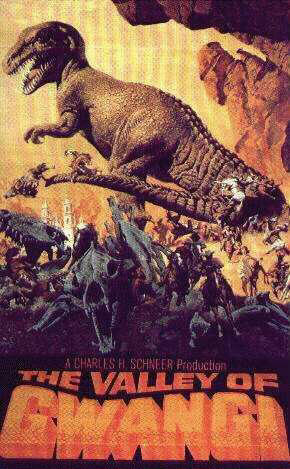 with another dinosaur film, The Valley of Gwangi. This tale of cowboys who capture a living Allosaurus from Mexico was originally a project storyboarded by Willis O’Brien called Valley of the Mists, back in 1939. 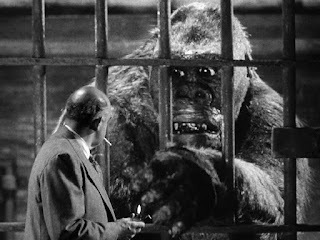 In addition to a roping scene similar to Harryhausen’s earlier Mighty Joe Young, the film also bears similarities to O’Brien’s own King Kong. Unfortunately, it was unsuccessful, largely due to the film’s incompatibility with the counter-culture of the late 1960s. The sequence where the cowboys lasso Gwangi was a complicated piece of DynaMation. In the live-action portion, the actors held on to ropes tied to a pole fixed to the back of a jeep. 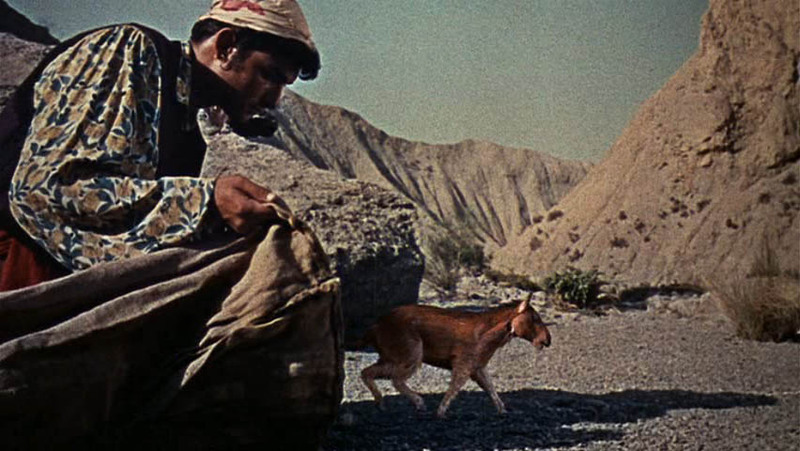 The jeep was obscured by the model when filmed with the back rear projection plate. The elements of the rope directly attached to Gwangi were wires painted and positioned to the live-action ropes. To help the actors, a cardboard cut-out of the Eohippus would be positioned to various points in the scene in rehearsal, after which Harryhausen would shoot the sequence. Eohippus was one of Harryhausen’s rare “friendly” beasts. 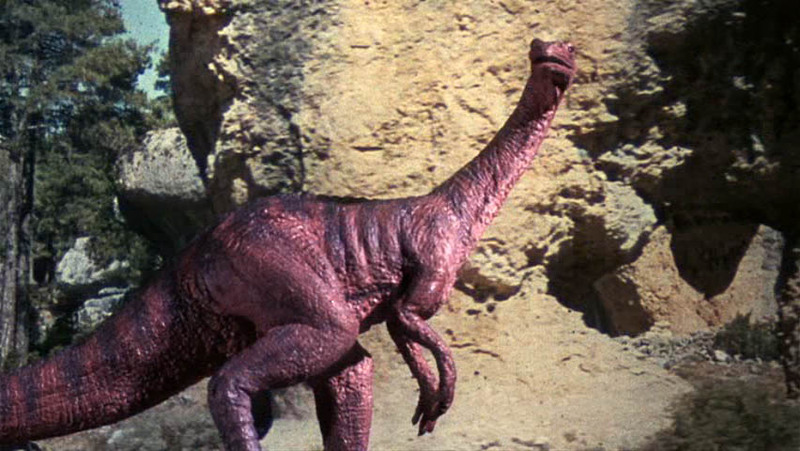 The Valley of Gwangi features the motion picture debut of the Ornithomimus. Ornithomimus was not a particularly exciting dinosaur, but the author appreciates Harryhausen’s inclusion of one of the less charismatic beasties of the prehistoric world. The influence of The Valley of Gwangi can be seen in many contemporary films, not least in the 1993 blockbuster Jurassic Park: the scene where the Gallimimus are ambushed by the Tyrannosaurus is almost identical to the first appearance of Gwangi. 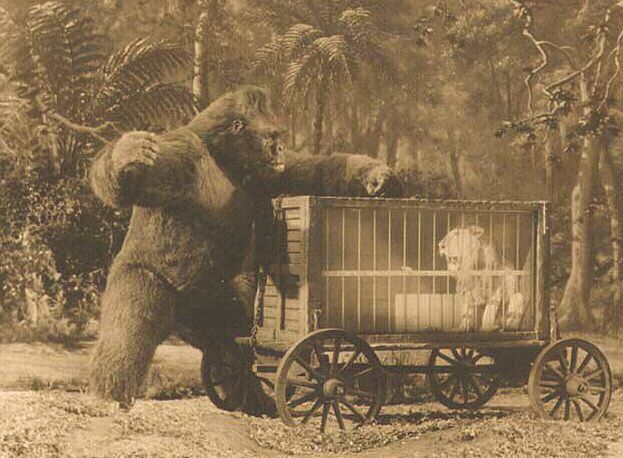 After the failure of The Valley of Gwangi, Harryhausen was out of work for a few years. Eventually he teamed up with Charles H. Schneer again, and produced The Golden Voyage of Sinbad and Sinbad and the Eye of the Tiger, which were successful at the box office. 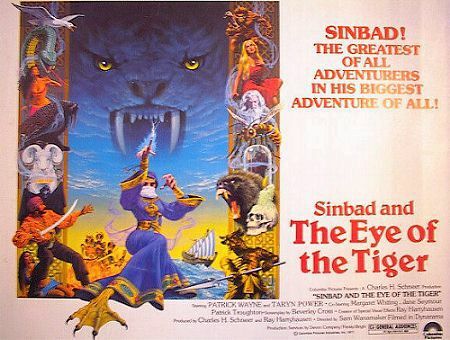 While not as universally loved as The Seventh Voyage of Sinbad, Sinbad and the Eye of the Tiger is still a solid adventure, with some interesting variations on middle-eastern mythology. 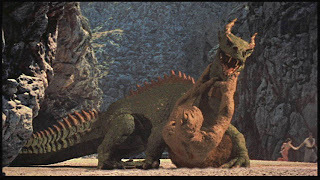 The Troglodyte was one of Harryhausen’s few gentle creatures, and consequently has one of the most affecting performances in the film. He interacts with the cast, and a great deal of precision was involved in integrating the shots accurately. The result was so convincing that many filmgoers mistook the model for an actor in a suit! Animating an animal realistically is problematic at the best of times for stop-motion animators, but animating an animal with fur requires even greater skill and detail. 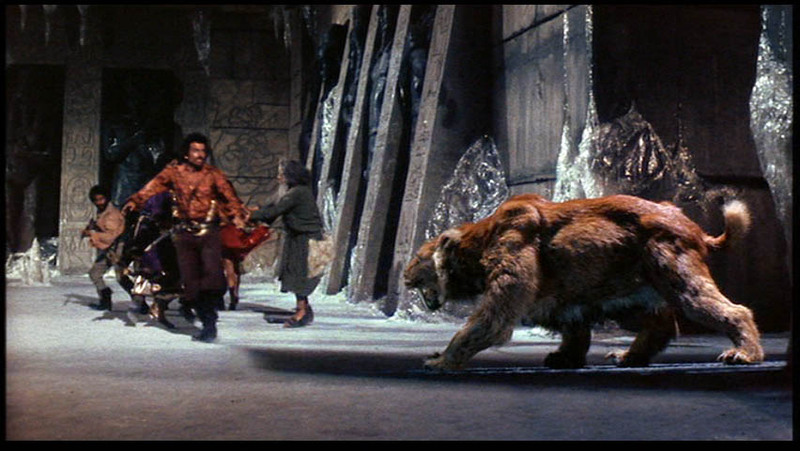 Harryhausen accomplishes the sabre-tooth tiger magnificently, with almost no indications of thumb indentations or ruffled fur to betray the hand of the animator. Initially one would wonder the sense in making a stop-motion animation baboon, when surely an actual baboon would have been more economical and time-efficient. 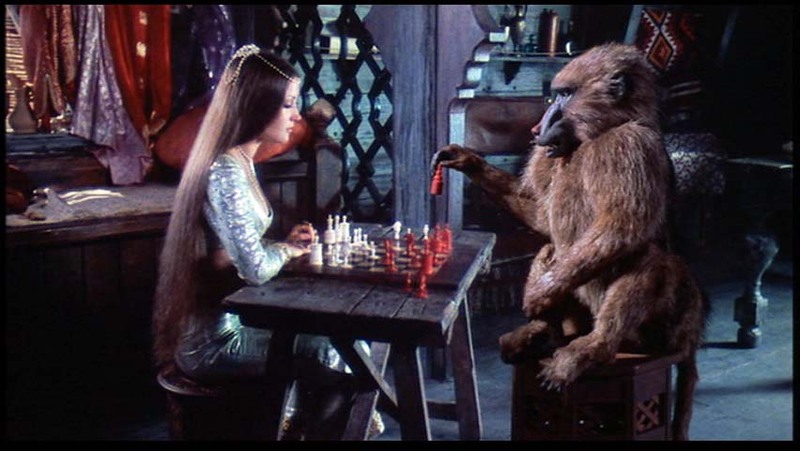 However, Harryhausen imbues the animal with a sense of personality and intelligence that could not be emulated by a real baboon, and features some of the most startlingly realistic animation he has ever achieved. This is a fine example of the fact that he could animate convincing mundane animals as well as giant or fantastical beasts. After the success of the two Sinbad films, MGM saw fit to allow Schneer and Harryhausen to produce one of his most expensive and ambitious films, Clash of the Titans. With a much larger budget than previous films and the likes of Laurence Olivier in starring roles, the film was a success, but due to the advances by Industrial Light and Magic and other effects companies, this would be his last big film. The original myth of Perseus did not feature the Scandinavian Kraken, rather the leviathan-like Ceto (origin of Cetacean, the taxonomical name for the whale family). 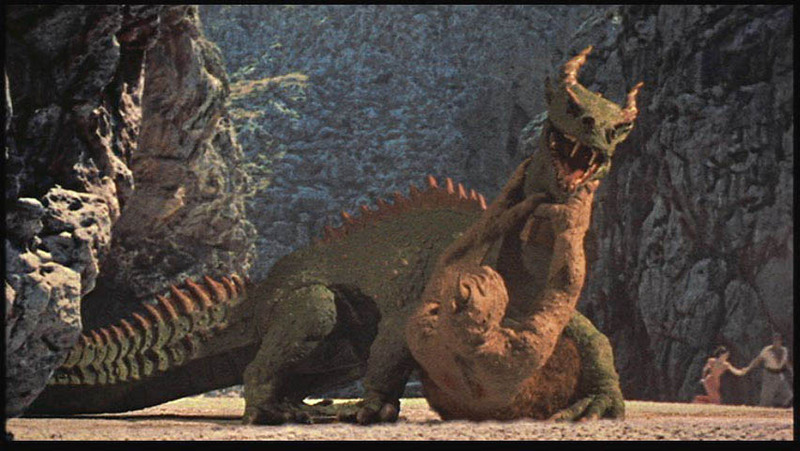 However, Harryhausen did not want to do another “dragon”, and so came up with an entirely original beast. 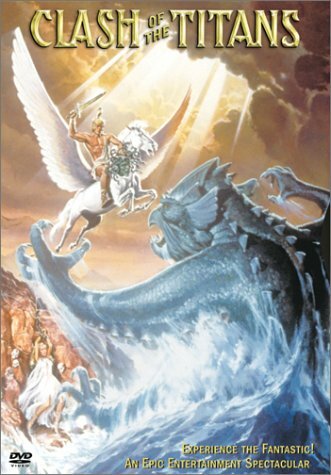 Pegasus too was lifted from another Greek myth, that of Bellerophon. The Kraken was brought to life using three armatures: the main model, a larger model for facial detail, and an armature of the creature’s hand and forearm. A 15-foot sponge rubber model was also created for underwater shots. The Kraken has become somewhat of a celebrity itself, with myriad references to it in popular culture. The scene in which the Kraken rises from the sea to devour Andromeda can be seen in the introduction of the sitcom Malcolm in the Middle, as well as its fellow Harryhausen creation the Archelon from One Million Years B.C. 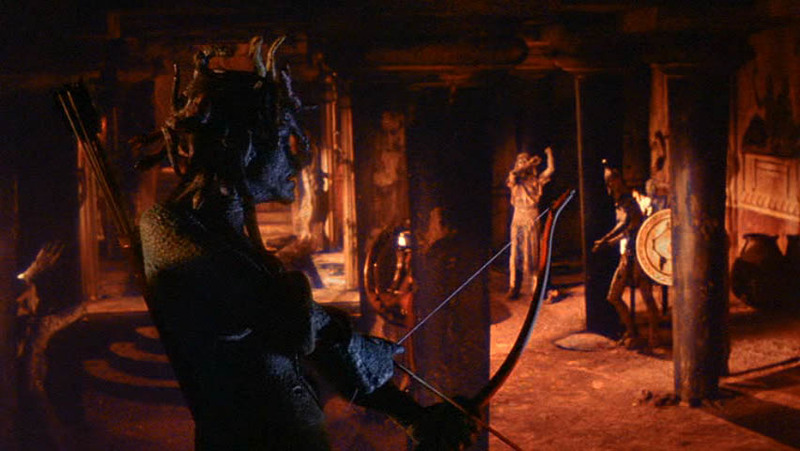 Harryhausen had to use a small flame when filming the Medusa model to improve the integration of the model with the rest of the scene. Like his Cyclops from The Seventh Voyage of Sinbad, his depiction of Medusa has overwhelmed the mythological depiction of the gorgon in popular culture. 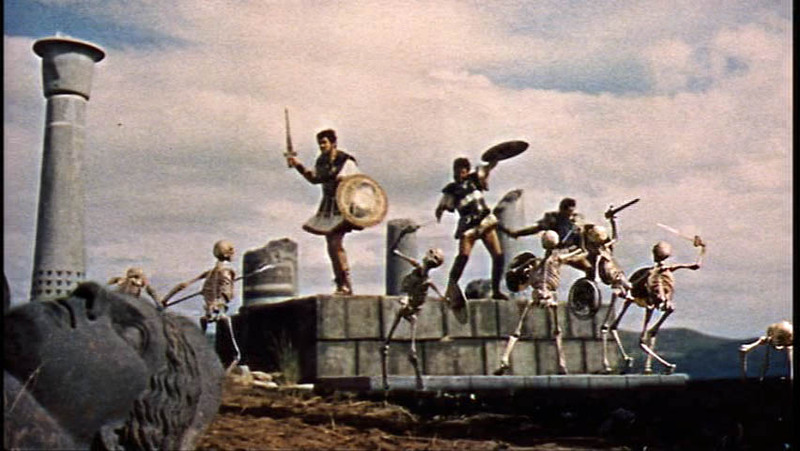 Clash of the Titans would be the last film Harryhausen would direct and produce, but his influence on later films and directors did not retire with him. A number of Harryhausen type beings appear in the computer game Age of Mythology, most notably his Cyclops (The Seventh Voyage of Sinbad), Talos (Jason and the Argonauts) and Medusa (Clash of the Titans) and which resemble his creations more than the original Greek mythological creatures. 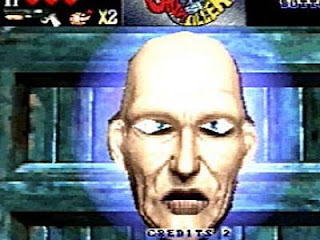 In addition, virtually the entire cast of the obscure Playstation game Crypt Killer consists of variations on Harryhausen’s creations, and even includes Harryhausen himself as a secret end boss – in the form of a giant floating head. 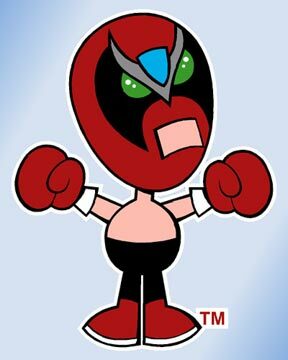 Harryhausen’s Cyclops appears again in an episode of internet phenomenon Strong Bad’s Email, where he battles the titular luchador. Harryhausen himself appears in the Italian comic Rat Man, where the hero is attacked by an army of skeletons. The only way he could prevail was to kill their creator: Rat Man looses an arrow, and in the next panel Harryhausen is shown slumped over his desk. 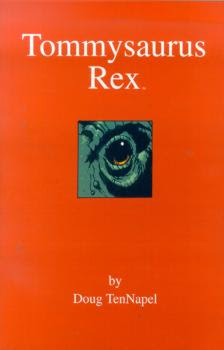 He also appears as himself in Doug TenNapel’s graphic novel tommysaurus rex. 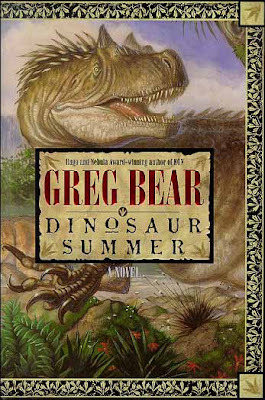 Harryhausen has an interesting starring role in the Greg Bear novel Dinosaur Summer, in an alternate universe where the events of Arthur Conan Doyle’s The Lost World actually happened: he and his mentor Willis O’Brien are adventurers rather than animators. He is also the obvious inspiration for the main character of Ray Bradbury’s Tyrannosaurus Rex, a short story offering insight into the life of a stop-motion special effects artist. 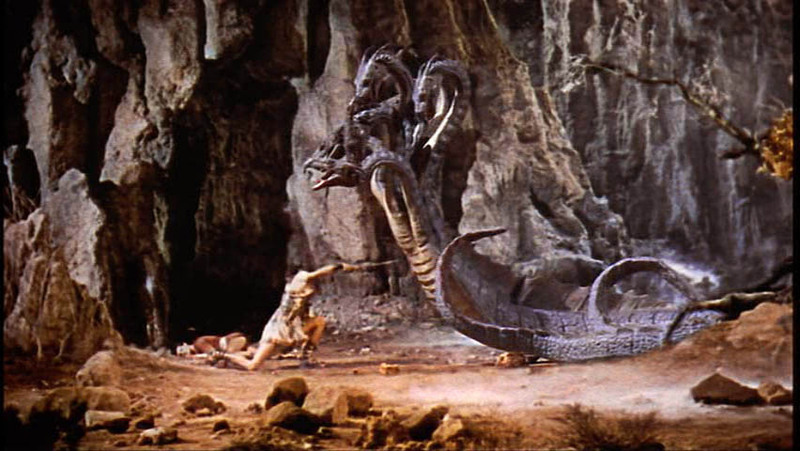 The effect Ray Harryhausen had on the film industry cannot be understated. Thanks to his innovations and imagination, an entire generation of viewers could see any creature or wonder of their imagination realised on the cinema screen. He introduced new ways of making believable characters, and while stop-motion itself may have been superseded by computer-generated imagery, the form continues to thrive through the work of Tim Burton, Nick Park, Phil Tippett and many others. 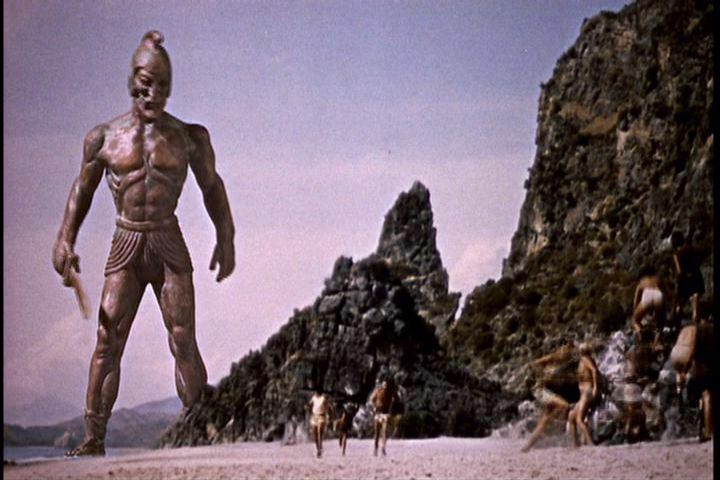 Of that generation, many grew up to be filmmakers themselves, and inspired a new generation in the same way they were once inspired: the way that Harryhausen himself was once inspired. I can't really add much more. 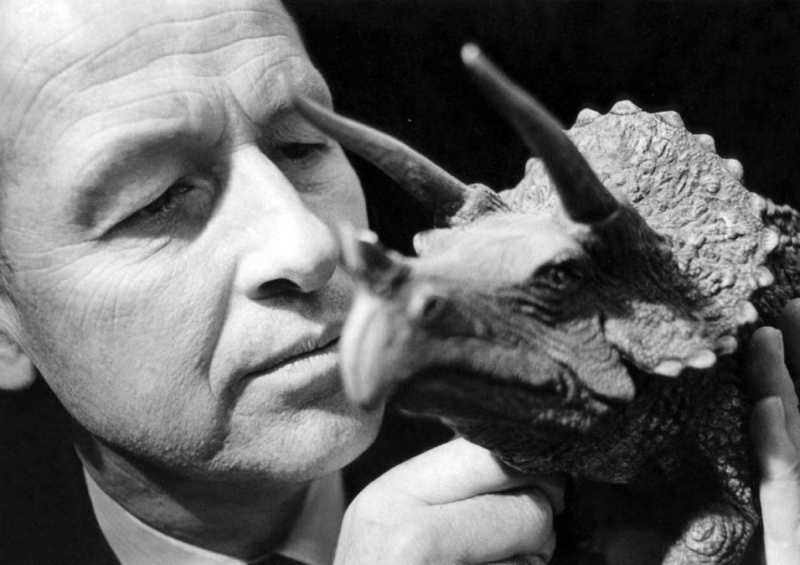 Ray's work has shaped the world of adventure throughout the 20th Century: nearly every monster or beastie you can imagine from the 1950s onwards has its roots in Harryhausen. Jurassic Park, The Terminator, The Empire Strikes Back, The Lord of the Rings: The Fellowship of the Ring, Mars Attacks!, Independence Day. He made dinosaurs accessible and believable, paving the way for Walking with Dinosaurs, Dinosaur Revolution, Planet Dinosaur, and other mainstream dinosaur documentaries. 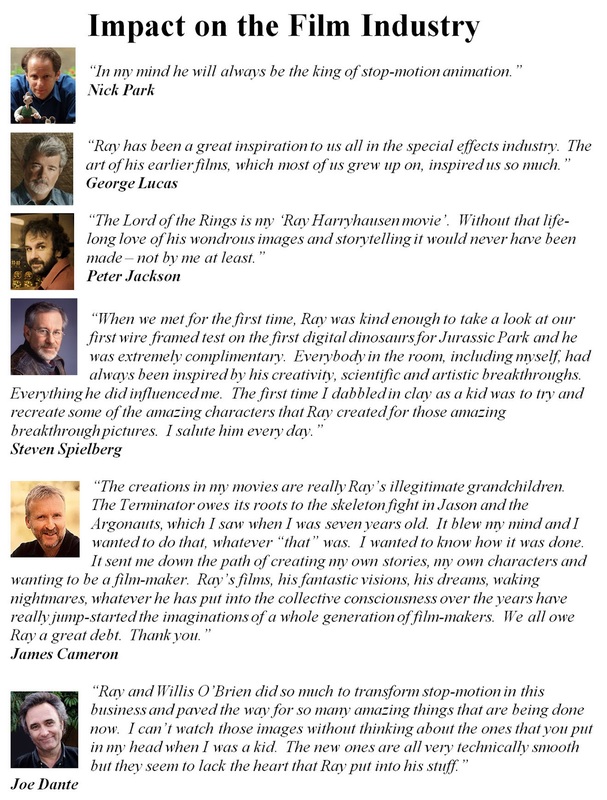 Thanks for all the dinosaurs, Ray. And the monsters, the spaceships, the aliens. This blog owes everything to you. RIP Ray! Thanks for the wonderful creatures and effects. A fine tribute, Al. I plan to have a Harryhausen film festival this weekend. Thanks Charles, I may do the same. A well written tribute to the last of the Titans, Al. Ave Atque Vale, Mr. Harryhausen. Sony Movie Channel on demand was running a Harryhausen series last month, so I rewatched the Sinbad movies, the 50s monster movies, Earth vs. the Flying Saucers, First Men in the Moon, and his Gulliver's Travels movie in relatively quick succession. I didn't I'd be capping it off by reading about the Man's passing, but in a way the timing couldn't have been better. His work was so brilliant for the personality he brought to his creations. He really was brilliant, Andy.